I often muse that I was born on the wrong continent at the wrong time. This is not to say that I am not well pleased with my life, only that I feel a kinship to England that reaches beyond a penchant for visiting. When I am there, it feels like home. It helps to be surrounded by scores of my wife’s family, but there is something natural, intrinsic about the moors that makes me feel like throwing on a flat cap and taking a stroll down a back lane in the afternoon. In Florida I am loath to take strolls in the afternoon, mostly because it is as hot as the seventh circle of hell for 80% of the year, and its raining or threatening to rain for another 15%. The final 5% of the year is pleasant, and I would not want to be anywhere else – except England, or Carmel, or North Carolina. I have left pieces of my heart in all of these places. I met Anna in North Carolina, and I proposed to her in England – on the moors. 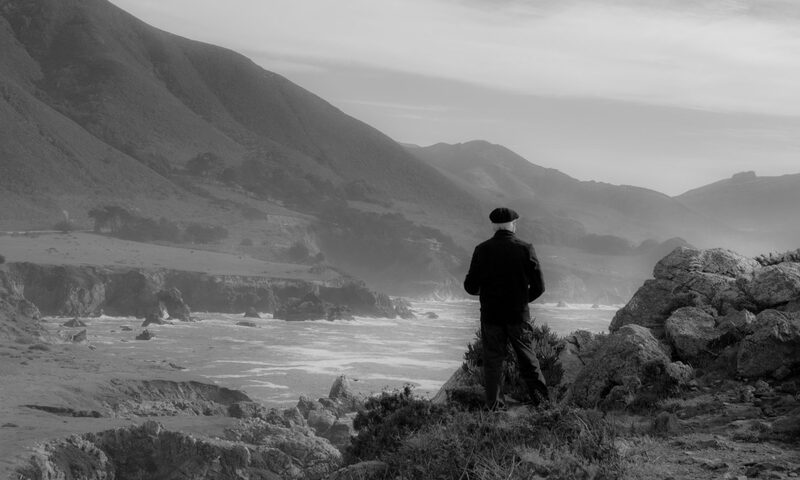 We have spent many beautiful days on the coastline in Carmel, and I feel a certain creativity out there that I do not feel anywhere else. Florida is our home, though. I was born here, and I have set down deep roots since we moved back from Virginia nine years ago. My job is here, and I am finally happy. That is not to say if we won the lottery, I would not spend more time in England and Carmel and North Carolina, but I am content. It has been over three years since I felt lost, at once like the falcon and the falconer. I was a paralyzed man learning how to walk again, and in many ways I am still learning – learning how to smile, learning how to appreciate the simple joys, and learning how to hold the center. I miss England, but I do not pine for it as I once did. When I return, and I will, I know that I can appreciate it for what it is, and not what I long for it to be. I may very well have been born in the wrong time and on the wrong continent, but I have an English spirit about me, a spirit of humored resilience…and that, for now, is enough. Another selection from my “Paths” portfolio, this photograph of a rocky road was taken on the the moors just outside of Haworth, England. Almost indiscernible at the end of the road, towards the horizon, are the minuscule figures of my mother-in-law, Vivien, and her brother, Robin, who both grew up wandering the moors like the Brontës, who lived in a parsonage in Haworth, adjacent to the church where their father Branwell preached. The moors are the inspiration of many of the gothic scenes in their novels, in particular Emily’s Wuthering Heights. Wuthering is a Yorkshire word meaning blustery and turbulent, and often describes the fierce, noisy winds that blow across the moors. The winds were calm this day, but only the day before, they were truly wuthering, rattling the shutters and whipping horizontal rain against the panes of crown glass in the home that Anna’s grandfather built, stone by stone, from the ruins of an ostler barn, where the horses were housed during the construction of the Worth Valley railway. How I arrived at the top of this particular moor, I don’t really care to recount. It suffices to say, that in a land of paths cut by more intrepid travelers over the centuries, there were no paths at the top of this moor, as we were, apparently, four of the only masochists to decide that it was prudent to visit the rock in the left foreground of the photograph. I would have grumbled the entire way, as I am wont to do, but I had no breath. Thus, the grumbling was internal–albeit vociferous. Nevertheless, when we reached the apex of this last moor (we had already traversed at least four), my grumbling ceased. I even managed to catch my breath, and yet I did not utter a discouraging word. How could I at such a magnificent sight. The purple heather that I disregarded with certain animosity as I trapsed through it was gorgeous, and gave the moors on the horizon an almost surreal violet hue in patches. Three miles or so down in the Worth Valley is where Anna’s grandfather build their house, stone by stone, from the ruins of an ostler barn. It is where Anna’s mother grew up, and where I proposed to her in a field across the valley from the house–but in a line of sight from the kitchen window, so that we could always look over to the field when we were at the house. Looking further into the horizon, you can make out a pinpoint landmark, which is the rock outcropping that we came to mount. This is where the Brontë sisters wrote their novels, and in fact Top Withens, the inspiration for Heathcliff’s home in Wuthering Heights, sat only minutes away atop an adjacent moor. A steam train runs through the middle of the valley, on which tracks Anna’s great-great-grandfather was an engineer. The valley is of another time, and it affects me like no other place I have visited in the world. This was the last photograph I took on our trip to England in late August of this year. I was tired, having climbed over moors, through the dales and back again at least four times over the course of the three hours or so. The flatness of this picture belies the vertical bent of everything in England. The sunset was magnificent because the clouds in the sky possessed such an impressionist character. The patch of sycamores on the horizon grew closer and closer as we approached the setting sun, with Top Withens (the inspiration for Wuthering Heights) behind us. There were no paths towards the top of the hike, which should have been an early harbinger of the difficulty of the climb. For all I knew (and willingly shared with the rest of the hiking group), we were likely the only masochists to have made the hike for generations. As we wended our way through the dense heather and tall wild grasses and bracken ferns, and I gasped for breath at manageable intervals, I thought back on that field twelve years prior where I proposed in a similar field across the valley from Anna’s grandparent’s house, amongst a small herd black and white Friesians. The beauty of Yorkshire has ceased to surprise me. By this, I do not mean that it has become any less wondrous or awe inspiring, only that I have come to expect to look out on a field and see the beauty that inspired the Brontës and Wordsworth and John Constable and all of the other artists that have spent their lives’ work attempting to capture the magnificence of this landscape. 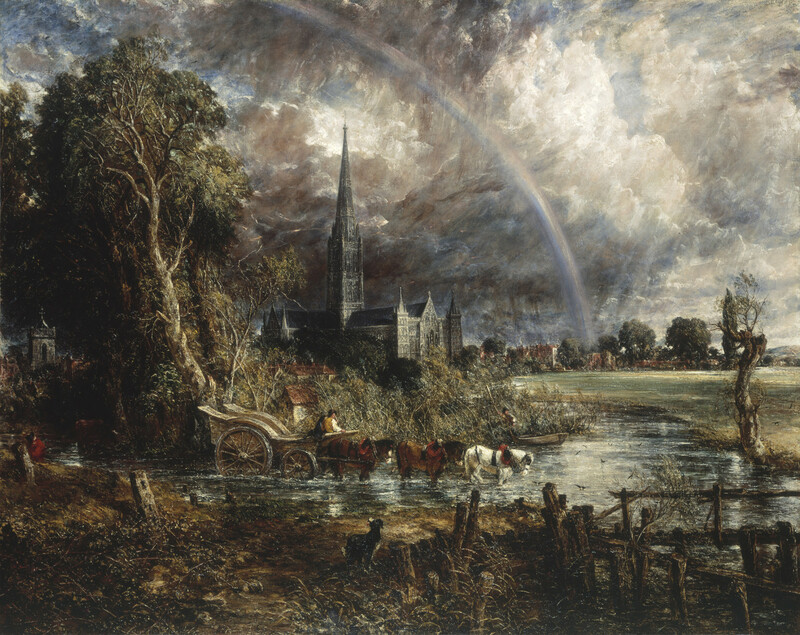 Indeed, the sky was something out of Constable’s painting of Salisbury Cathedral (sans the rainbow). The beauty is almost laughably ubiquitous. I have been to England three times now, and each time I am left with the distinct sensation that I was born on the wrong continent. My archaic turns of phrases, my passion for history and ancient things, all find root in the mother country. Anna’s grandmother, a strong Yorkshire woman, who still travels the world at 94, has adopted me as her “cloth” grandson, an appellation that I take very seriously, and I have been warmly embraced by the network of aunties and cousins — just the toe-holds I needed to claim a bit of Yorkshire as my own. “Etch” comes to us from the German ätzen meaning “to eat” via the Dutch etsen. Etching is the traditional process of using an acid to cut into the unprotected parts of a surface to create an intaglio (incised) design on the surface. The word has been borrowed for human application, with it meaning something that is affixed permanently in one’s memory. This photograph has elements of both meanings. The breaks in the heather and scrub are beautiful, lasting reminders of what has come before. The paths on the moors have been etched by the footfalls of generations of Yorkshiremen and, indeed, even us outsiders. Likewise, the scenes captured along such paths, as if created by old masters, have been indelibly etched into my mind.